The serious beginner will love this easy to use scope that is also big on the views. 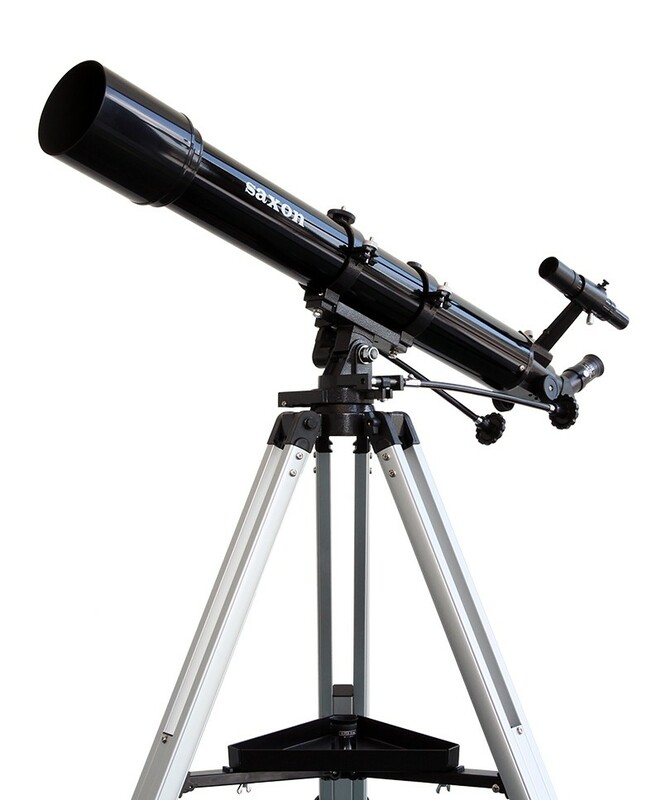 If you are also into astrophotography, the Saxon Novo 909 AZ3 Refractor Telescope is "camera friendly" - fit your DSLR with any 1.25" camera adapter* and you're ready to go. This scope will also perform excellently on land, with its 90mm focal length, is a great companion by the beach! With just the right balance focal length and tube diameter, the Saxon Novo 909AZ3 Refractor Telescope means you see images that are brighter, sharper and better contrast. 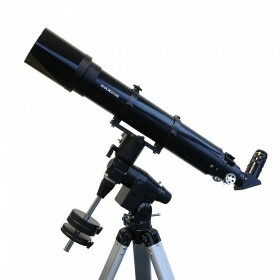 With it's generous light gathering capacity, this telescope is easily the best refractor telescope going at under $500! 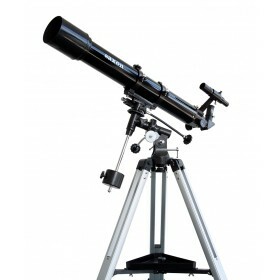 Complete in the package of the Saxon Novo 909 AZ3 Refractor Telescope is a 6x30 finderscope to help the serious beginner locate objects easily. If you're planning on doing astrophotography, this tube can take any 1.25" camera adapter. You know what is the other good thing about this scope? Take it out with your on a coastal or camping trip, because with the 45% erecting prism it comes with, it doubles great as a terrestrial spotting scope too!